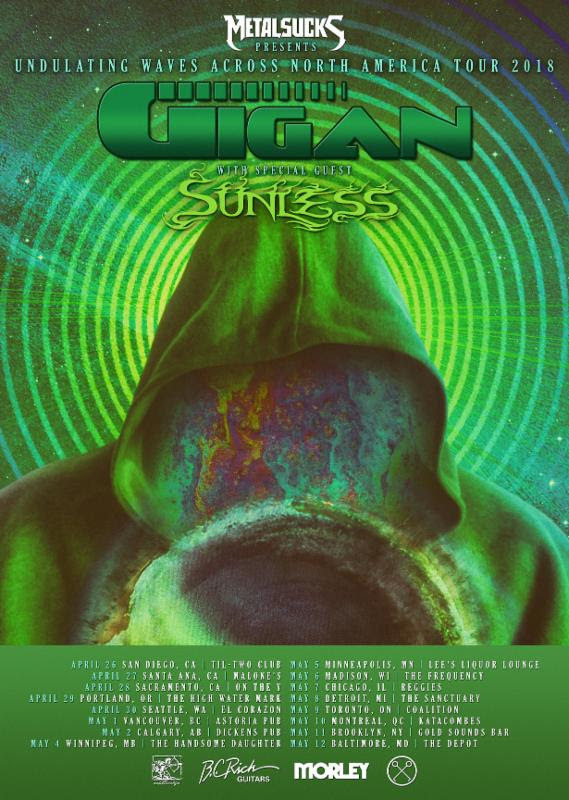 Minneapolis-based avant-death metal trio SUNLESS has been confirmed as direct support for Gigan on their upcoming North American spring tour. The newly-announced MetalSucks Presents: Undulating Waves Across North America Tour 2018 will see SUNLESS supporting Gigan for sixteen shows. 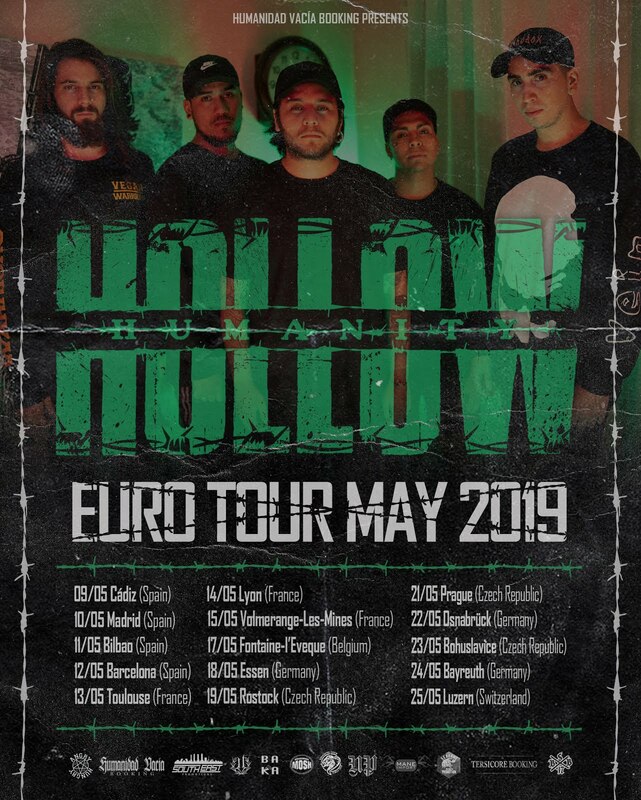 The tour begins April 26th in San Diego, California, and runs through the Northern US and Southern Canada, the final performance taking place in Baltimore, Maryland on May 12th. One year after its initial release, SUNLESS recently reintroduced their acclaimed debut album, Urraca, on deluxe LP format through Aural Music. Tracked by Adam Tucker at Signaturetone Recording (The Crinn, Ambassador Gun, Maeth) in Minneapolis, and mixed/mastered by Colin Marston at Menegroth, The Thousand Caves in New York City, Urraca delivers nine tracks of SUNLESS' complex and dissonant style of death metal. The LP version of Urraca is pressed in a run of 300 copies on purple vinyl housed in a deluxe gatefold cover. Find ordering options for the LP now at THIS LOCATION, see a recent SUNLESS live set HERE, and stream Urraca in its entirety HERE or HERE.